Good news! 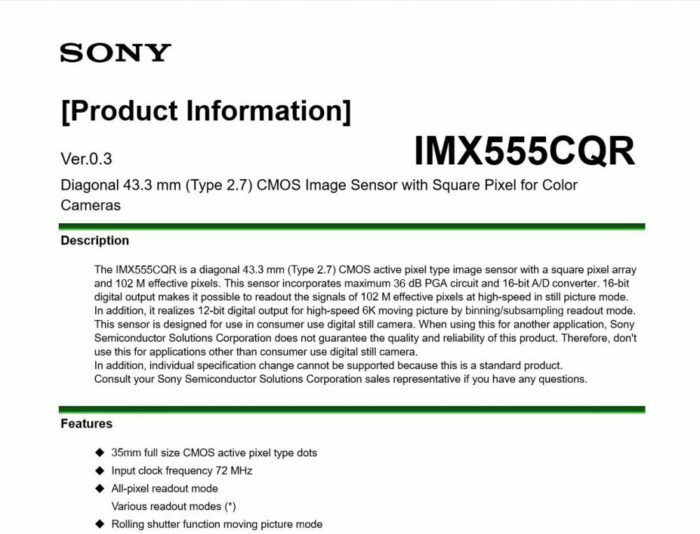 This is the rumored Sony 100 Meapixel Full Frame Sensor with 6K Video, leaked at the Androidlad . This would be much better Sony A7 III in terms of dynamic range, sensitivity (QE) and readout speed.